I'm not going to waste time telling you anything about Steve Marriott. 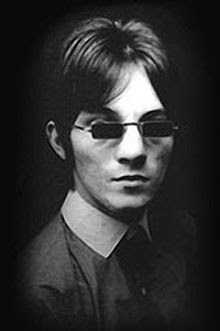 Most of you will know that he fronted perhaps the best mod band ever in the mid-60s, the Small Faces. 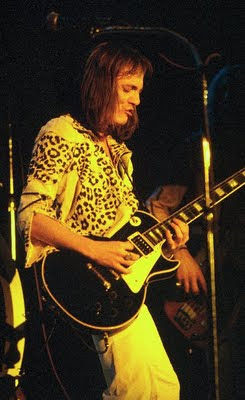 And that he later had a great blues-rock band with Peter Frampton, Humble Pie. Blah, blah, blah. I can't add anything that isn't already covered here, here or here. But what I am going to do is make my case that all readers of this blog need to e-mail NPR and ask them to include Marriott in their upcoming series highlighting the 50 best singers ever recorded (see below). I know it's a long shot. It does say best ever recorded. That's some serious competition. But, I think that Marriott stacks up well and should be seriously considered. Marriott's days singing for Small Faces are hard to ignore. Listen to "Lazy Sunday", which a lot of people write off, but it's vocal component is quite compelling. Or what about the songs that were hits for the Small Faces? "Whatcha Gonna Do About It?" is a screamer that is completely made by the vocals. Likewise "(Tell Me) Have You Ever Seen Me", "Wham Bam, Thank You Mam", and "Don't Burst My Bubble." Ever heard covers of those that were any good? If you answered yes I will guarantee that it wasn't the vocals you remember. Marriott makes that nearly impossible. But, for me, when he was with the Small Faces there is one song that stands out head shoulders above the rest. "Tin Soldier." When you've got the silken voiced PP Arnold playing second fiddle to you, well then maybe your pipes should be considered as some of the best recorded. I'm still undecided as to whether the song is improved by the video or not. It's damn powerful by itself, but there is a certain intensity to seeing the band, and especially Marriott himself, belt it out. Not convinced? Think he was just a mod flash in the pan, a second wave of the British Invasion that was easily turned back by the buying public. Okay, then let's just flash forward to his days with Humble Pie. Take the blues rock of "Hot-N-Nasty", "Fool For A Pretty Face", or "I Walk On Gilded Splinters", and you will hear Marriott's voice at its best. But when you hear him belt out the blues on "Black Coffee", echoed by sweet soul singers, then you will agree that NPR would be remiss in leaving Marriott off their list. Between Oct. 5 and Oct. 16, we're asking you — NPR listeners and readers — to tell us who in the whole world possesses the most beautiful, singular voice you have ever heard. Leave your picks, along with a sentence defending each choice and a link to an audio clip if possible, in the comments below, or email GreatVoices@npr.org. So, please e-mail them and nominate Steve Marriott.